Early Christmas Gift (1) | to be or not to be? nice post, mr.lau. i am ur student, year 1 sem 3 in utar foundation. Mr Lau, I am not your student. hehe. 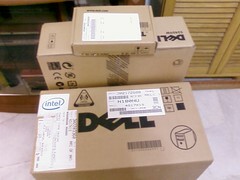 My guess is that it is related to DELL, something that will make your really happy. hehe.